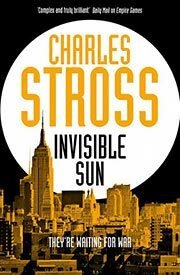 Stross, Charles. The Family Trade . Tor 2004. 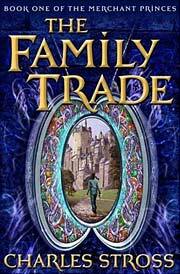 Summary: Series including The Family Trade , The Hidden Family , The Clan Corporate , The Merchants' War , The Revolution Business and The Trade of Queens as well as the follow-on trilogy set 17 years later, including Empire Games , Dark State , and Invisible Sun . 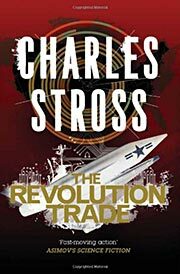 The omnibus volumes The Bloodline Feud , The Traders' War and The Revolution Trade are revised versions of the first six novels and are closer to the author's original intentions. Translation: French as Les Princes-Marchands. Awards: Winner: First three volumes collectively for 2006 Sidewise Award for best long-form alternate history. What if: The Maccabean rebellion failed and the Judean tribes were dispersed, creating a world in which there is no Christianity or Islam, and no monastic centers of learning to preserve knowledge when Rome collapsed. Summary: A women from our world accidentally "world walks" into an alternate timeline in which Norse colonies in North America survived even as Europe was overrun by the Turks and Mongols. There she finds she is a lost scion of a clan of crosstime merchants who dominate the politics of "Gruinmarkt", and her appearance has made her a target for murder. Series note: First volume of Merchant Princes. 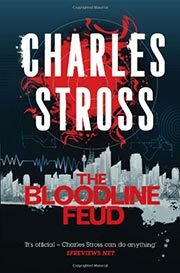 — Revised version included in The Bloodline Feud , Tor 2013 (1447237617BUY). Translation: French by Patrick Dusoulier as Une affaire de famille , Laffont 2006 (2221105389), Livre de Poche 2011 (2253159832). Stross, Charles. 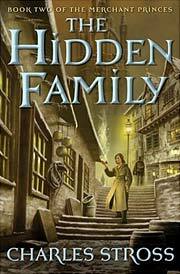 The Hidden Family . Tor 2005. What if: Charles Stuart, the Young Pretender, decided to stay in Scotland and strengthen his power base rather than march on London. As a consequence, Great Britain was later conquered by France and the British throne established in North America. 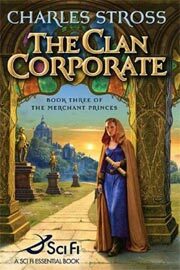 Summary: Our heroine hides in a third timeline's Boston as she prepares for a meeting of crosstime clans which will determine whether she is one of theirs. Meanwhile, a lost family of worldwalkers seeks her death. Series note: Second volume of Merchant Princes. Published: Tor 2005 (0765313472BUY), 2006 (0765352052BUY); and Pan MacMillan/Tor UK 2008 (0330460935). Translation: French by Patrick Dusoulier as Un secret de famille , Laffont 2006 (2221106571), Livre de Poche 2011 (2253159840). Stross, Charles. The Clan Corporate . Tor 2006. Summary: Our heroine finds her freedom of movement almost blocked as other members of the clan attempt to force her into a marriage which will link the worldwalking familty with the royalty of Gruinmarkt. 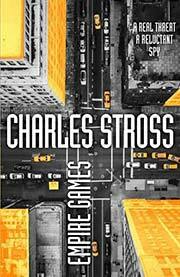 Meanwhile, in our world, a DEA agent becomes part of an interagency investigation of the crosstime travelers. Series note: Third volume of Merchant Princes. — Revised version included in The Traders' War , Tor 2013 (1447237625BUY). Translation: French by Patrick Dusoulier as Famille et Cie , Laffont 2007 (2221108779), Livre de Poche 2011 (2253159859BUY). 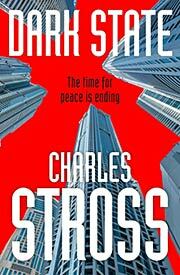 Stross, Charles. The Merchants' War . Tor 2007. Summary: War breaks out in the Gruinmarkt timeline as the throne is usurped and the new king tries to destroy the crosstime "witches". Our heroine hides out in the New British timeline, but even there is on the run from authorities. Meanwhile, members of her family investigate another timeline which seems to be barren of human life but shows evidence of past civilization. Series note: Fourth volume of Merchant Princes. Publication note: Also referred to as The Hostile Takeover and The Merchants' Revolution during development. Translation: French by Patrick Dusoulier as La Guerre des families , Laffont 2011 (2221125916), Livre de Poche 2012 (2253164615BUY). Stross, Charles. 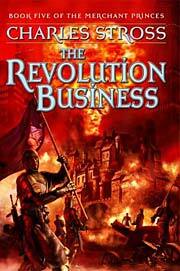 The Revolution Business . Tor 2009. Series note: Fifth volume of Merchant Princes. — Revised version included in The Revolution Trade , Tor 2013 (1447237641BUY). Stross, Charles. 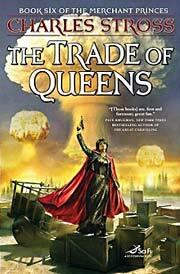 The Trade of Queens . Tor 2010. Series note: Sixth volume and "conclusion of the first series" of Merchant Princes. Stross, Charles. Empire Games . Tor 2017. Summary: Set 17 years after the events of the prior books in the series. 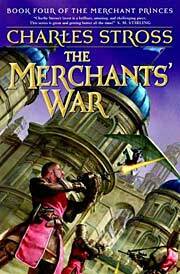 Series note: Seventh volume of Merchant Princes and first of the follow-on Empire Games trilogy. Published: Tor 2017 (0765337568BUY, 0765337592BUY), 2019 (0765371014BUY); Tor UK 2017 (1509814868, 1447246284). Stross, Charles. Dark State . Tor 2018. Series note: Eighth volume of Merchant Princes and second of Empire Games. Published: Tor 2018 (0765337576BUY), 2019 (0765337606BUY); Tor UK 2018 (1509823522BUY, 1447247582BUY). Stross, Charles. Invisible Sun . Tor 2019. Series note: Ninth volume of Merchant Princes and third of Empire Games. Published: Not yet published; expected from Tor in November 2019 (0765337584BUY). Stross, Charles. The Bloodline Feud . Tor 2013. Comments: Omnibus volume including revised versions of The Family Trade and The Hidden Family , q.v. Published: Tor 2013 (1447237617BUY), 2014 (0765378663BUY). Comments: Omnibus volume including revised versions of The Clan Corporate and The Merchants' War , q.v. Published: Tor 2013 (1447237625BUY), 2014 (0765378671BUY). Stross, Charles. The Revolution Trade . Tor 2013. Comments: Omnibus volume including revised versions of The Revolution Business and The Trade of Queens , q.v. Published: Tor 2013 (1447237641BUY), 2015 (076537868XBUY).